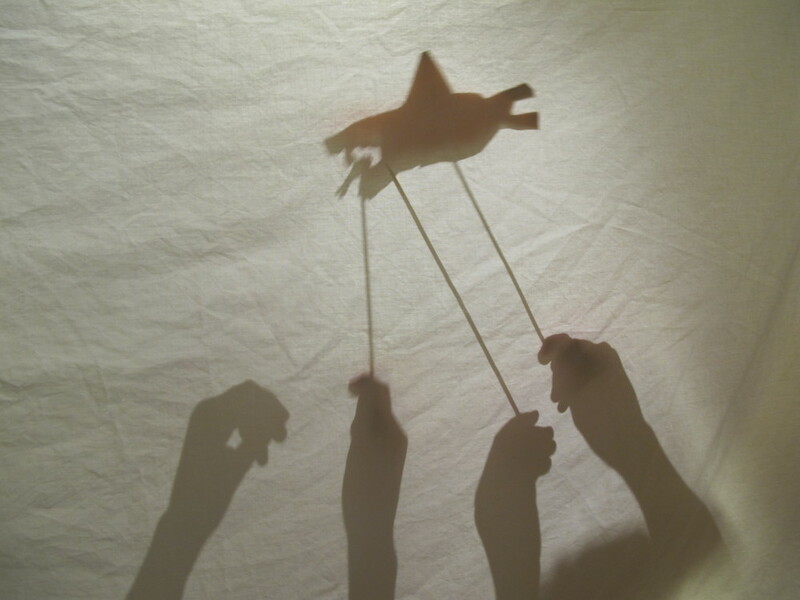 Our shadow-puppet-making workshop yesterday brought all sorts of sea creatures—and creative children—to life. Fish and Sun, as seen from the deep. A mouse who snuck into the house/left his hole for Pamelia's bowl/she took him away/to a safe place to stay/in the woods (not far, just a stroll).